Welcome to Cook Without Eggs! Living with an egg allergy can be a real challenge. We are here to help you conquer that challenge so you can enjoy cooking and eating again! 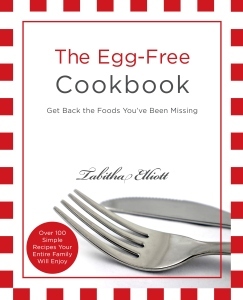 The Egg-Free Cookbook by Tabitha Elliott is available on Amazon @ http://www.amazon.com/dp/061556920X.